Sorry for the shaky/off center footage. Hard to do this one-handed. Looks nice, how are you liking it? Pro's and cons? Do you have a heater in there too? Hunting & Fishing is all that I craved! 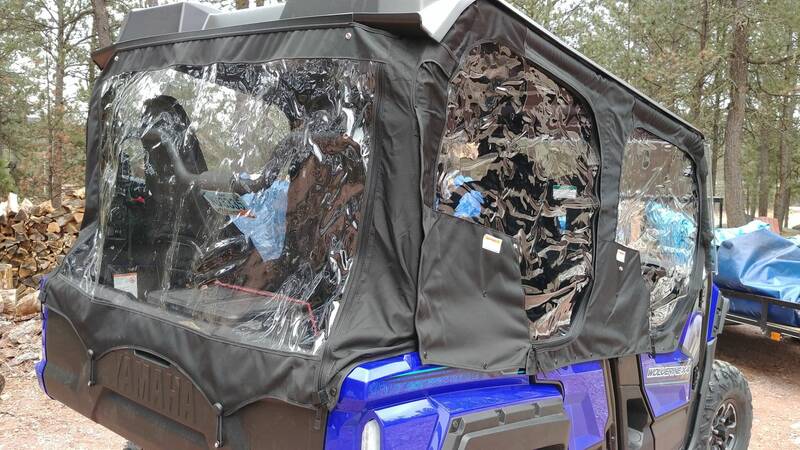 Let me put it to you this way: My 98 lb wife would never go in the Viking with me on winter nights because of the cold (it also has a soft cab). I don't have a heater in there yet (still debating if I need it), and we've gone out to dinner twice in it with our daughter. On a sunny day, you don't need a heater. 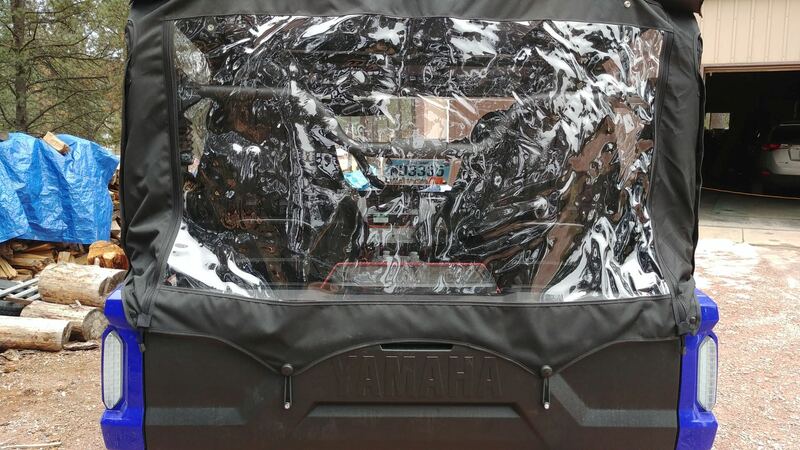 The glass\vinyl panels just act like magnifying glasses and warm up the cab. I do have some air coming in around the steering wheel but I plan on making a block-off plate so air isn't being forced in through the wheel well. -Valuables are more concealed. I think I can leave my $300 brushless chainsaw in there with less concern of it getting stolen. The following is both a pro and con. Getting in and out. 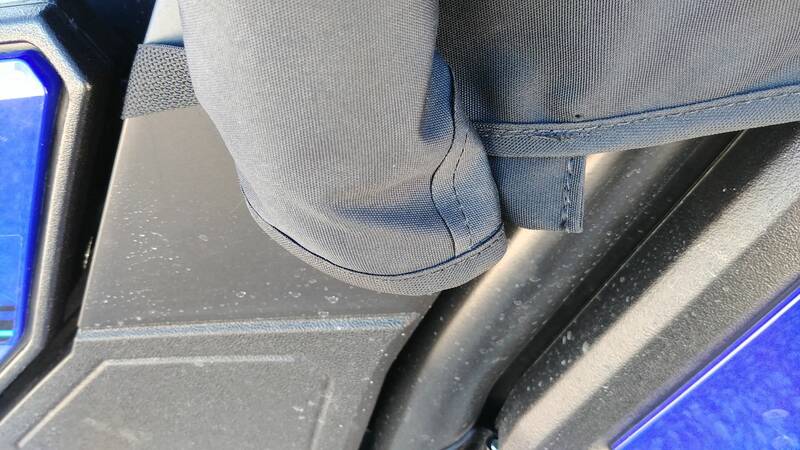 Yes you have to unzip the window every time you get in and out (during the winter), which adds to the yoga you have to do to get in and out of the X4 in the first place. That being said, it's really not that bad and it's easy to zip/unzip. You see the trouble I had to do unzip the rear window one-handed in the video but it's effortless with two hands. I can't say if window fogging is going to be an issue. So far it hasn't, but I don't have enough time in it with the cab to make a determination yet. MORSNO, TimberWoof, Piston Yamaha and 1 others like this. I also have the soft cab and I like it so far. As with my Rhino and Viking, air comes in around the steering wheel column. 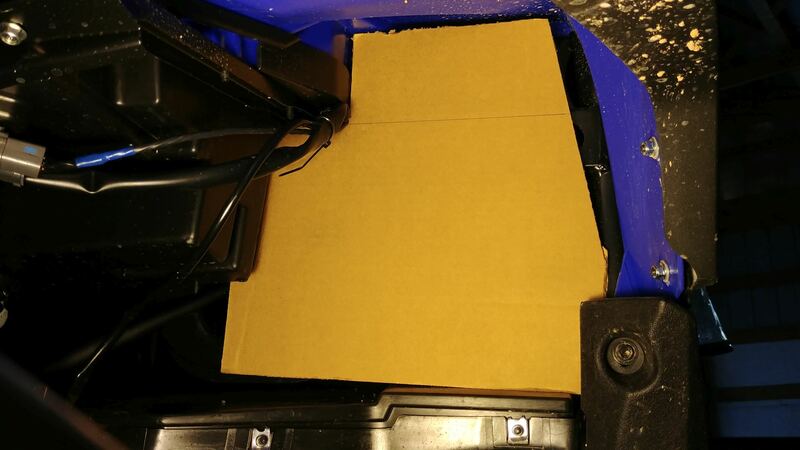 I created an air dam, first mocked up in cardboard and then transposed to Plexiglas. I wanted to use black plastic but had to settle for pg instead. It does make a difference and to improve on the design, I'd make another piece going in parallel with the chassis to the left of the existing piece. I'm thinking about making a corresponding piece on the passenger side to prevent dirt and splash from getting up there. Last edited by MassiveOverkill; 11-14-2017 at 10:46 AM. X4CaptainVince and atkbike like this. Thank you MOK for taking the time to post all that info and vid. I think you have me sold on a soft cab. MassiveOverkill and atkbike like this. The biggest failure point on soft cabs are the zippers. If they fail, your soft cab is useless unless you can find someone to sew on new ones. Repairing/adjusting the zipper pull is a much easier task than having to replace/adjust zipper teeth as was the case on my SxS Enclosures cab that was on my Viking. I will say SxS customer service is #1 and they did send me a brand new cab enclosure without having to send the old one back and they've improved their zipper but I can't say if the new design is any better. SxS Enclosures uses molded zipper teeth as found in the middle picture, which is very prone to breaking/misalignment. Yamaha OEM uses coil zipper teeth on the right, which keeps zipper teeth alignment, stands up to abuse (won't break teeth), and goes around curves much better. Around curves is the most-likely spot that you'll notice your first zipper failure on a molded design. The windows have their share of light scratches but can still be seen through fairly well. 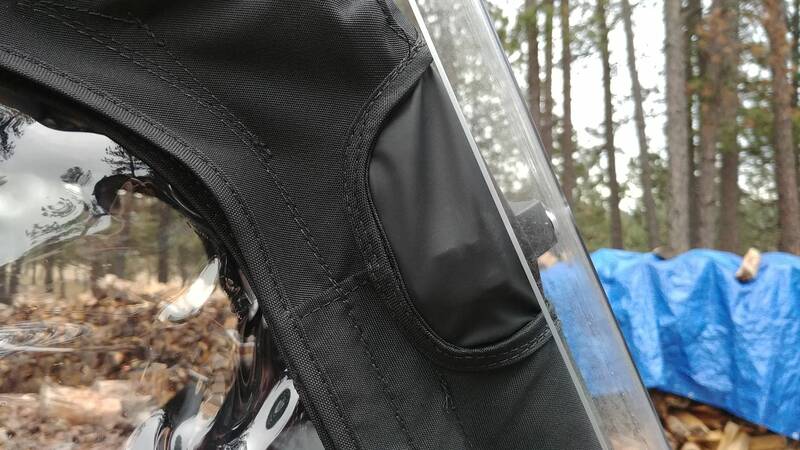 Yamaha provides 2 large chapstick-like lubrication which makes the zipper work buttery smooth. I would suggest cleaning your zippers with soap/water/toothbrush and then applying the 'zipper butter'. 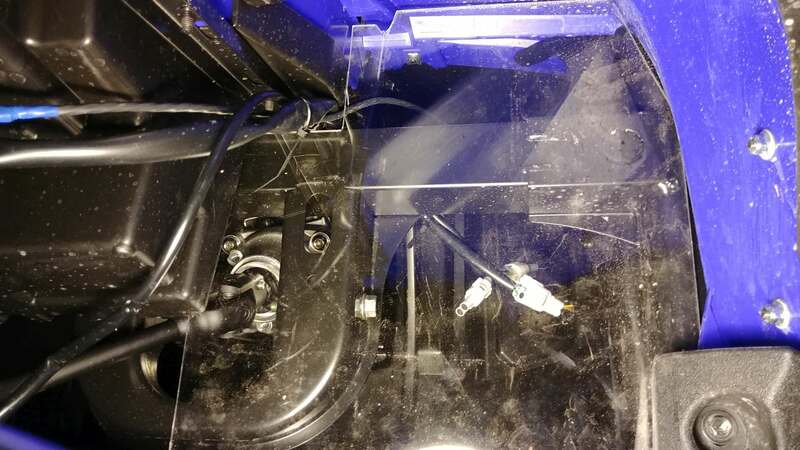 The rear window was rubbing bad where the rear roll bar is so I would install something to cover the rear roll bar, maybe some strips of velcro (loop side not hook) or other soft cloth-like material. Also I now use a small bungee cord to support the center of the the window when it's rolled up. 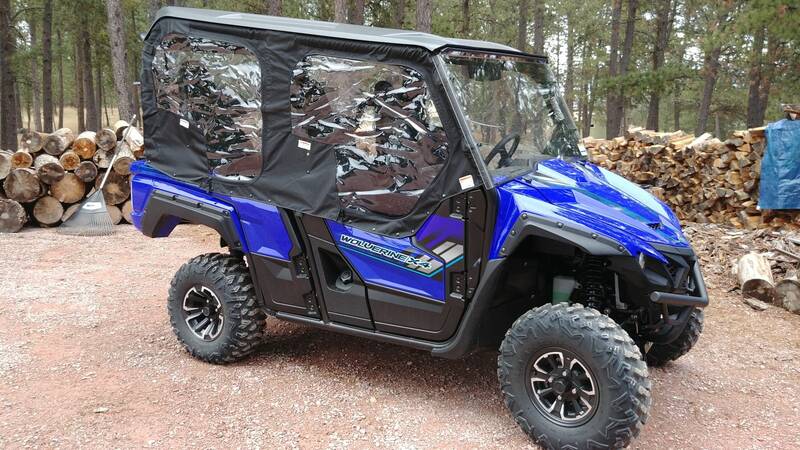 Has anyone found a side mirror solution that will work for the X2/X4 R spec, soft cab and SuperATV folding windshield? Thanks in advance!